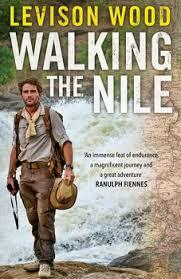 Last night I watched the last episode of Channel 4’s documentary ‘Walking the Nile’. This four-part series followed former soldier Levison Wood as he set out to walk along the longest river on earth, from its source in deepest Africa, to the shores of the Mediterranean Sea in Egypt. That’s 7 million steps and nine months of solid walking! This was an impressive undertaking, given the heat, the distance and the painful foot blisters (shown in all their graphic glory!). I found myself unexpectedly moved when Mr Wood – or ‘Lev’ as he introduced himself – reached the end of his epic journey and dived into the sea before an emotional reunion with his family. I’ll be honest and say I haven’t watched all four episodes although I’ve seen bits of the previous ones, showing Levison travelling through Ethiopia and Sudan. It was the final leg of his journey – through Egypt – that I wanted to see. I’d hoped this might show Egypt in a light that would encourage tourists to return. In this wish, I was disappointed. I’m sure much of the challenge for Levison Wood was to be seen to walk through parts of the world that might be described as ‘trouble spots’. He’s a battle-hardened man, who’s made a name for himself trekking across war zones. But, to me, it was disappointing to see Egypt given this treatment. I’m not so naive as to think everything in the garden is rosy in Egypt. The News reports over the weekend of clashes in Cairo marking the 4-year anniversary of the Revolution to topple Hosni Mubarak – which have left 18 people dead – are testament enough to the on-going political unrest. But I thought the Walking the Nile documentary was overly skewed towards portraying a country apparently rife with gun smugglers, where the atmosphere is one of tension and mistrust of foreigners. In my 11 visits to Egypt (including trips in each of the last four years 2011-14), I have never experienced this sense of unease at all. Admittedly, I have been a visitor to Luxor, not to any of the towns previously strongholds for the now outlawed Muslim Brotherhood. Even so, I thought Egypt was misrepresented in last night’s programme. Levison Wood paused briefly to enjoy the hospitality of the famous Old Cataract hotel in Aswan. Previously host to Sir Winston Churchill and Agatha Christie, the hotel was conspicuously devoid of guests. He also made short stops at some of the temples along Lake Nasser (although we weren’t shown him visiting Abu Simbel, despite the promise of the opening titles) and in Luxor. But the jaw-dropping history and archaeological sites of Egypt were given scant air time, brushed over in favour of scenes of Mr Wood being followed by the police. In this, too, I felt the Egyptian authorities were done a disservice. It seemed clear to me the police officers concerned were good natured and concerned for Mr Wood’s safety whilst in their country, nothing more sinister than that. I’m not sure what it will take for tourists to venture back to Egypt. To be fair, the purpose of Channel 4’s documentary was not to be a travelogue. Nevertheless I thought it a shame that such a spectacular country, one with so much to offer its visitors, was represented as a war zone. I applaud Levison Wood for his courageous journey. What a remarkable achievement. Nevertheless, I hope I will be believed when I say Egypt remains a fabulous destination for a holiday. I hope to go again during 2015, and make it a fifth consecutive year for a visit. True, I may not have Cairo on my itinerary – and I will certainly avoid the Sinai Peninsula. But Luxor is a treasure not to be missed. I hope even Levison Wood would agree with that ! Author of Meredith Pink’s Adventures in Egypt – a series of mystery/adventure novels set in Luxor. Available on Amazon. Posted on January 26, 2015 by Fiona Deal. This entry was posted in biograpy, current affairs, Egypt, egyptian fiction, History, holiday, the Nile, Travel, Uncategorized, walking the nile, writing and tagged Aswan, Cairo, Channel 4, egypt, Levison Wood, Luxor, the Nile, walking the Nile. Bookmark the permalink.